Today, you can find decent bottled water at nearly any gas station, but it’s often ten times as expensive as bulk water and contributes to unnecessary waste. Likewise, municipal water can be had at any faucet in Kamloops. Yet, do you really want the chlorine, phosphates, nitrates, pesticides, and other impurities that come along with it? The answer is Aqua Pure Premium Water. At Aqua Pure Premium Water in Kamloops, we know that clean, healthy water affordably delivered is essential to the wellness of our customers. That is why we offer a host of filtered water solutions so you can hydrate wherever you are — and do so at a fraction of the cost! Aqua Pure Premium Water presently offers bottled water delivery, water filtration services and supplies, as well as water dispensers. If you have a water cooler at your home or workplace, you may also have your water bottle cleaned and refilled at our 24-hour shop along Dalhousie Drive. We would be happy to recommend a cost-effective solution that works best for you, your family, or your workplace. Call or visit Aqua Pure Premium Water in Kamloops today! Is hard water roughing up your glassware, skin, and hair? 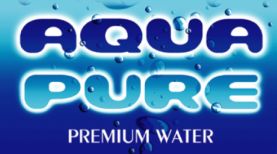 Have a water softener installed by Kamloops’ water system experts — Aqua Pure Premium Water.